Hi all, so as has been discussed previously in a few threads, including Grandad Stinky’s awesome Custom project, ThunderDragonCy’s monsterised DT-03 build, and my TT02B MS I have been toying with the idea of monsterising a buggy or two. 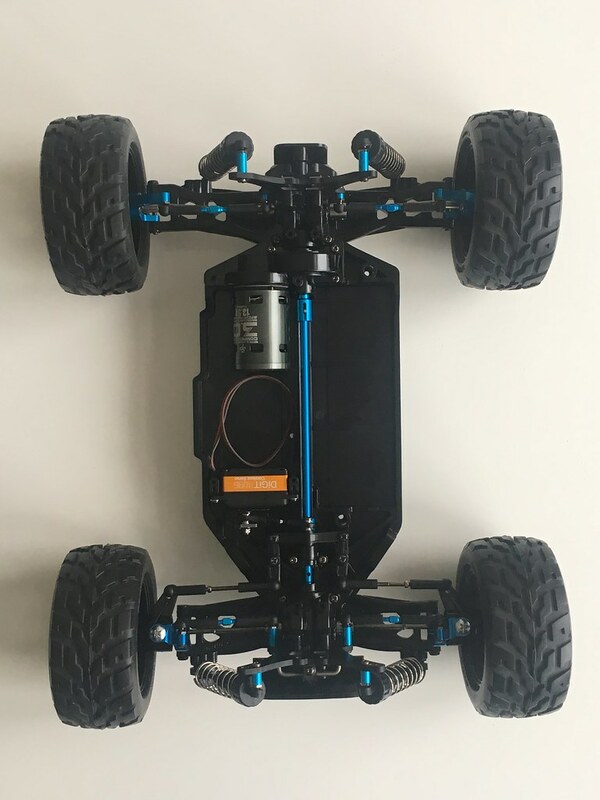 This thread is my attempt at monsterising a TT02B (or at least Truggifying it) It’s not so much a build thread as a documentation of an ‘experiment’, so it won’t include all of the build process. However I have included some pictures of the relevant modifications and the main details. I am currently using some CVA shocks as stand-ins until some 90mm and 100mm Trackstar shocks arrive in the post. These are currently set at 95mm length. 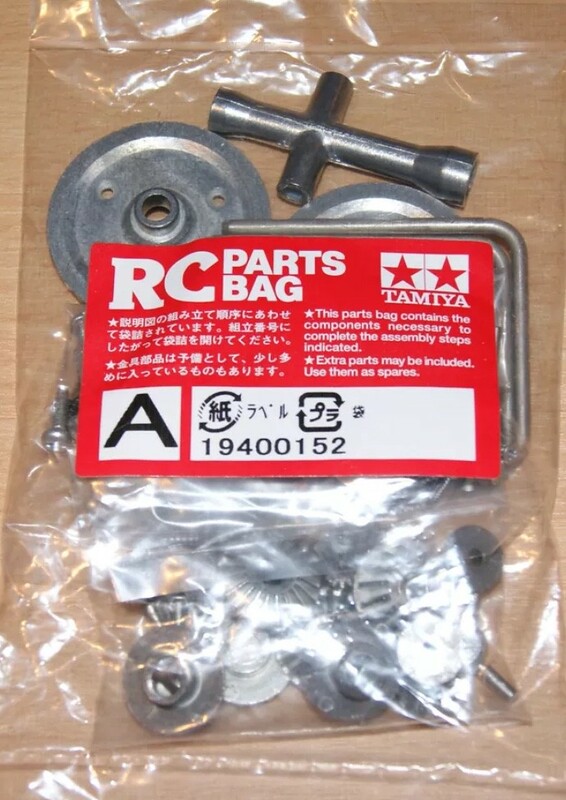 I have also fitted a hi-torque servo saver from Tamiya (part 51000) to my Savox 1251mg servo, no picture of these components specifically. I also fitted some 3 Racing front C hubs, but other than the kit supplied hop ups this is the only bit of ‘hop up’ fitted (until later perhaps when I can justify the insanity of hop up Addiction) Other than that all other components are kit standard from an MS.
- select a body (I have a few ideas but I’ll not go into these just yet as one is ‘traditonal’ and one is ‘out there...’! Anyway I will update further with progress as and when. I love this build so far, feels nice and chunky! Ok, bodyshell-wise, the ‘out there’ idea was to try on a Monster Beetle shell. 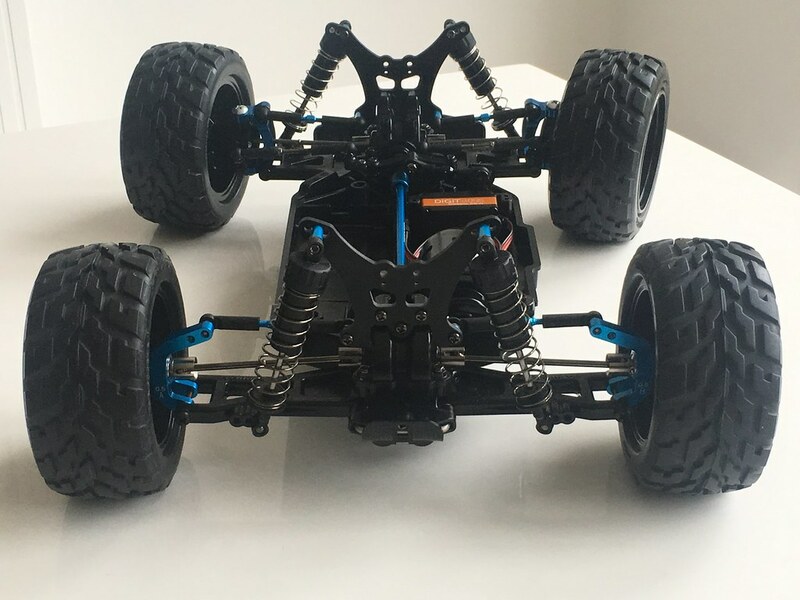 I have been test fitting my MB shell to this chassis. It almost looks really good. But it just doesn’t really fit without some major modifications to the shell, and even then the wheelbase is a bit off. 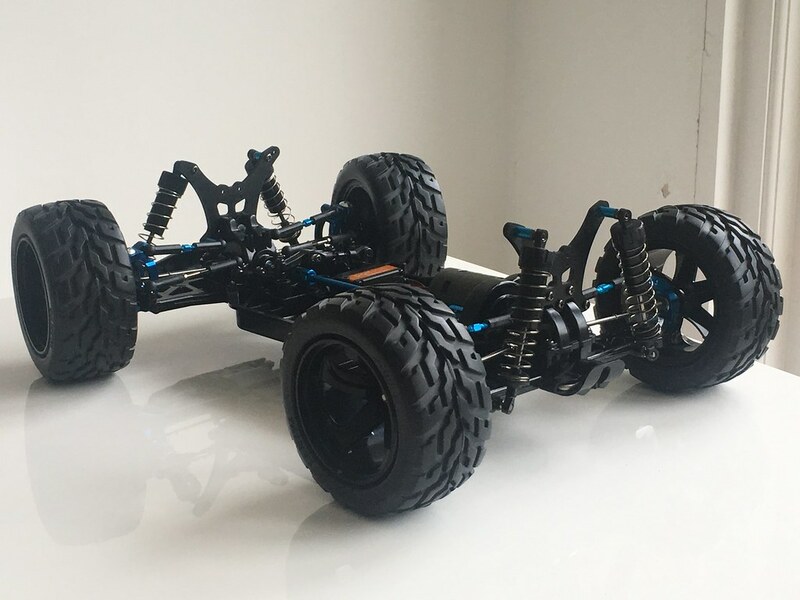 TT02B wheelbase is about 265mm. I was hoping to surprise you all with ‘The Black Beetle’.....! 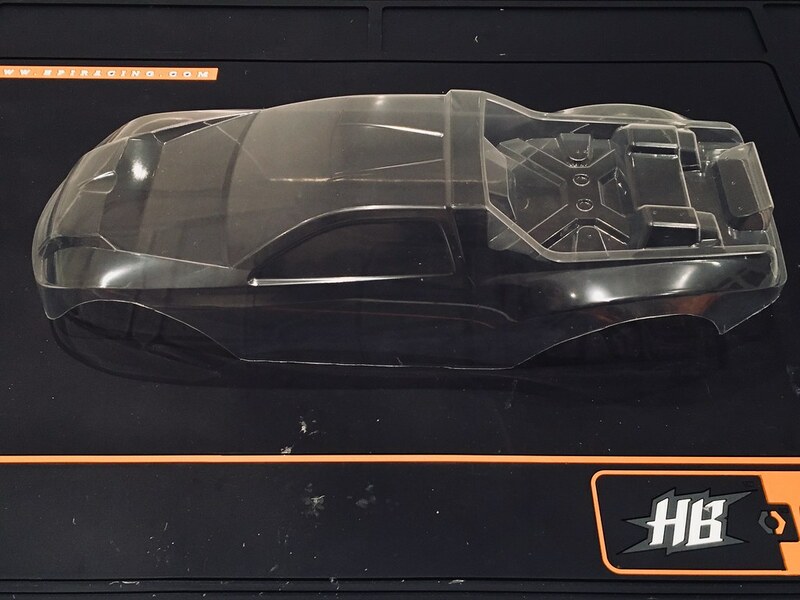 As a back up I have a Kamtec lexan Baja beetle shell that I can try on this or another ‘experimental’ project but I am assuming it’ll have the same limitations as the MB. The Vajra shell, by contrast, is a lot more predictable in terms of looks and expectations - it’s a short course truck look. 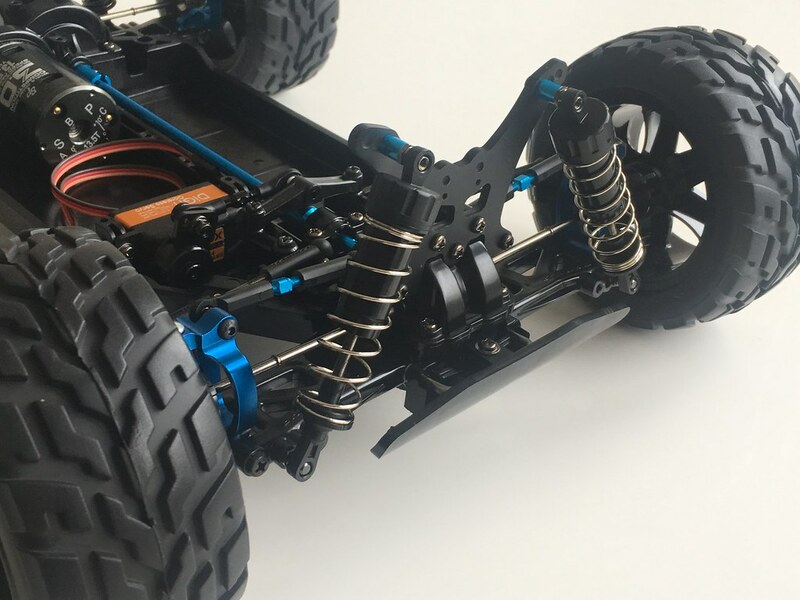 Vajra wheelbase is 275mm, so the 10mm difference shouldn’t really be an issue. But I’m feeling a bit ‘meh’ about it, for various reasons. I haven’t ordered it yet. In other news, the longer shocks still haven’t arrived, hobbyking are normally much better than this....! 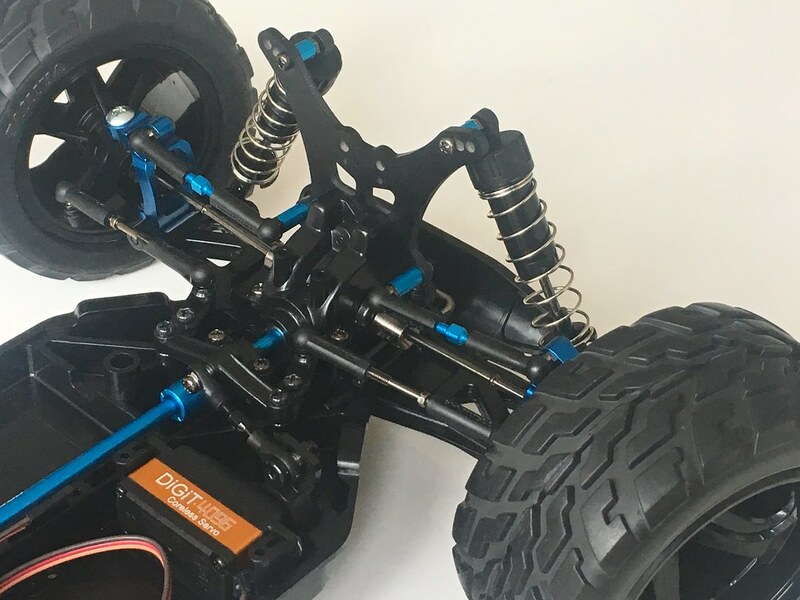 Am also toying with the idea of fitting TT02B rear lower arms to replace the front arms to lengthen the arm a bit and gain some ride height potential. This will make front and rear track the same. I need to get some longer hex hubs also, as the GF-01 wheels require it it seems. Looks great already. Love to reach the level where I can conceive how to even begin doing something like this. I think you need to run a rule over this, I looked at this on my Monster Truggy. The front arms are shorter to accommodate the hub carriers. If you put rear arms on the front, the track will be wider than the back. I’ve just looked at your steering turnbuckles, shouldn’t the adjustment but be centralised, not over to one side? You’ve left yourself with no adjustment. I think you’re right Grandad, it won’t work. Alex, what size are the GF01 wheels? I’m thinking they may suit my new Levant Build very nicely. Hey TS, will check a bit later but I think they’re the same tyre as on your car, diameter is 110mm I think. The wheel I suspect is also the same as your car’s wheel. I’ll have to remove the tyre to measure wheel if that’s what you’re after (they came pre-fitted). NDF-01V tyres, that’s why I really like the look of them, they are the tyres I’m looking at getting! Yeah I think they look awesome I can't see the pics in your Levant un-build thread any longer. Are the links broken? I wanted to verify what came on your RTR Levant Un-Build/Rebuild. Pics still showing for me? 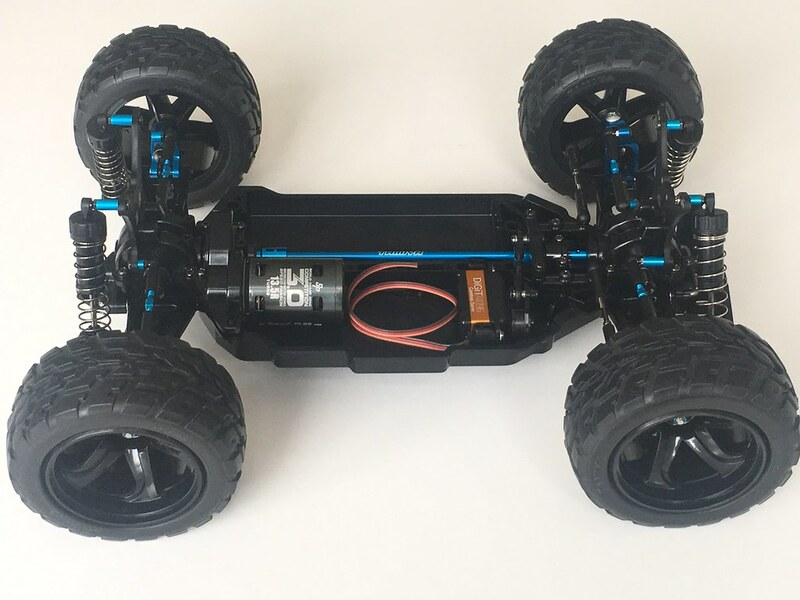 I got a complete chassis. Everything apart from electrics, wheels, tyres and body. Hope this helps. The Tyre is listed on the Vajra kit of parts, but I can't see any detail on a Levant RTR however. (Vajra wheel incidentally is part 19335619) I also just noticed I need to refit my tyres to the wheels to maintain the correct wheel directionality. Checked the Levant Manual just now, they are listed as the same item. So what ever these tyres fit, the wheel will fit the Levant nicely, which opens up a lot of options. ive also checked my thread on my iPad and phone, and the pics are showing for me? My Levant was just a bare chassis, no electrics, wheels, tyres or body. Just a complete chassis prebuilt. Oil shocks, and AW grease throughout the diffs and on the dog bones. Also built with machine screws for the most part rather than the normal self tapping style Tamiya screw. Just a small update on the wheels mountings on the front. 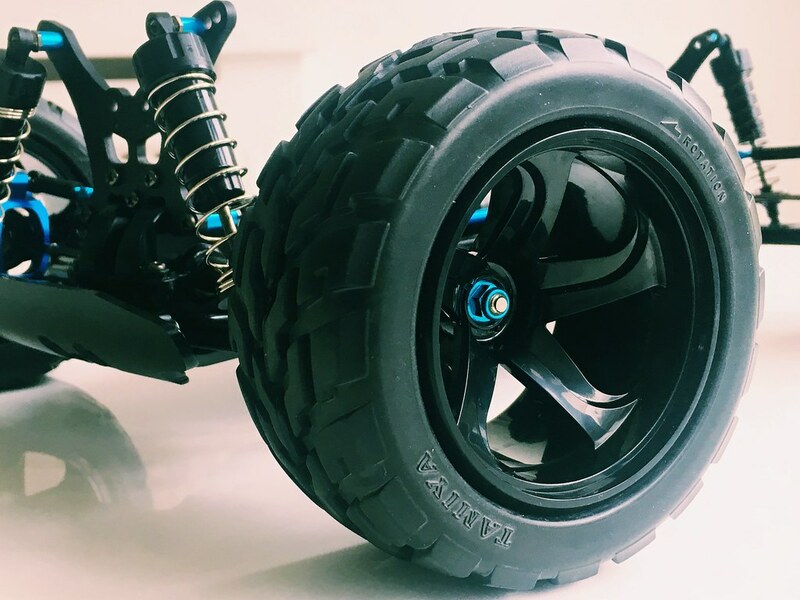 I noted earlier in this thread that the wheels were quite loose, and demonstrated quite a bit of play or 'slop' along the axle (part MB20). 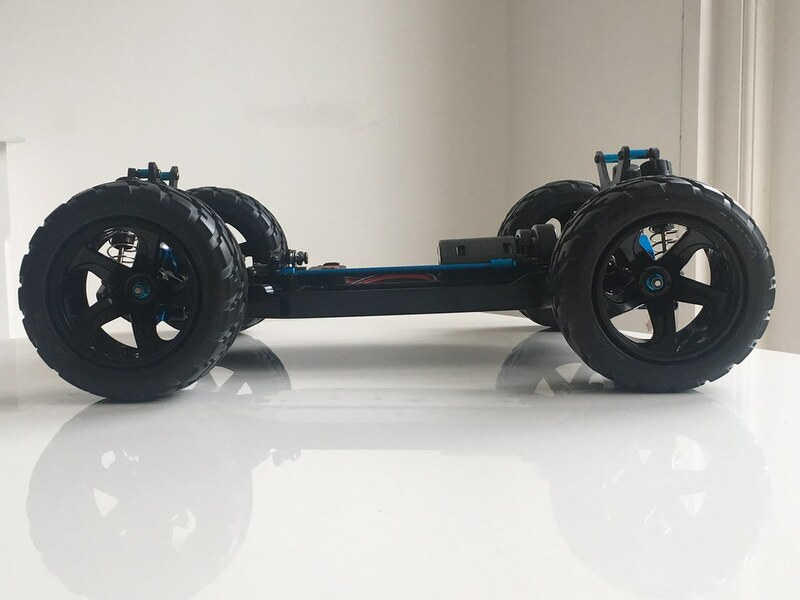 The axle and wheel would move longitudinally along its axis against the stock plastic front knuckle arm upright. I played a bit with adding some shims to remove this, in the end 1.2mm of shimming (using 4 x 0.3mm thick 5mm dia. shims) totally removed this. I fitted them on the inside of the knuckle upright, between the axle and the inner ball bearing. 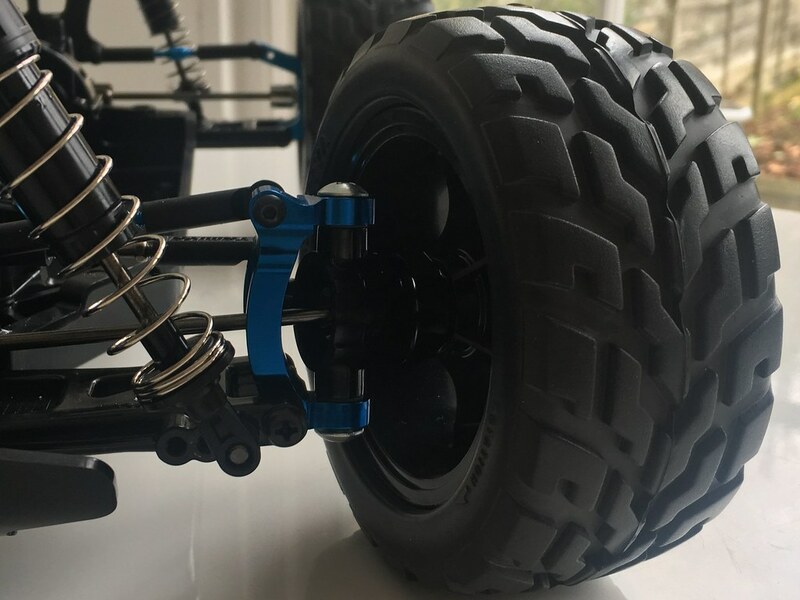 This pushes the inner ball bearing closer to the inside the knuckle once mounted on the axle, and eliminates the amount of available play along the axle. It's hard to photo in situ once installed, but the above picture shows the inner ball bearing, on top of the shim, and this bearing would sit into the inside of the knuckle arm circular recess. 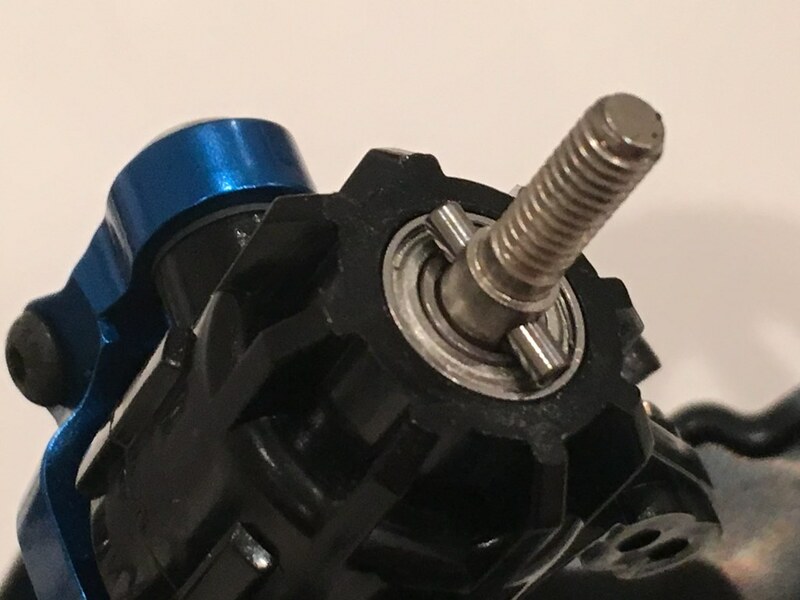 On the other side of the knuckle arm would be the outer ball bearing which would now be pushed much tighter against the MA7 pin / shaft that slot into the hex hub. 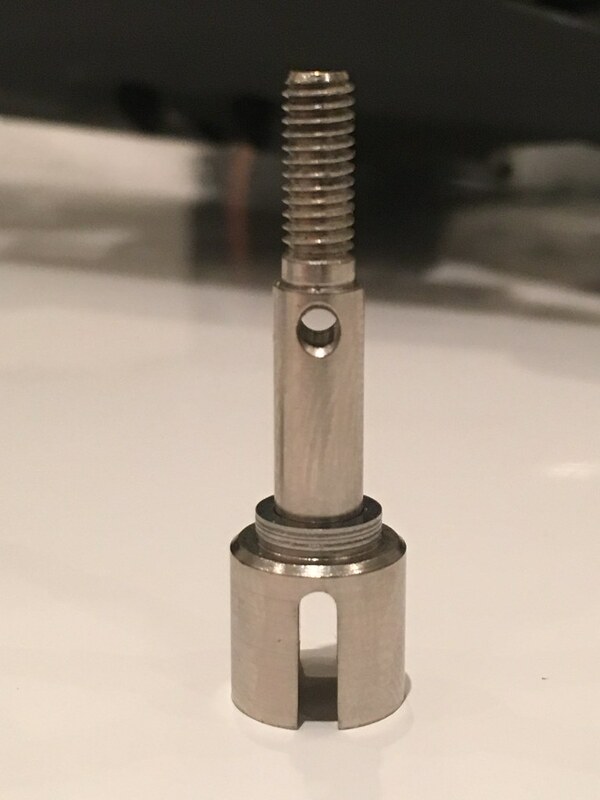 The following picture shows the outer ball bearing, which is now pushed outwards due to the shims and resultantly sits much tighter against the MA7 shaft / pin, thus removing the sloppiness. I haven't run it yet, and may attempt to find 1 or 2 thicker shims versus using 4. 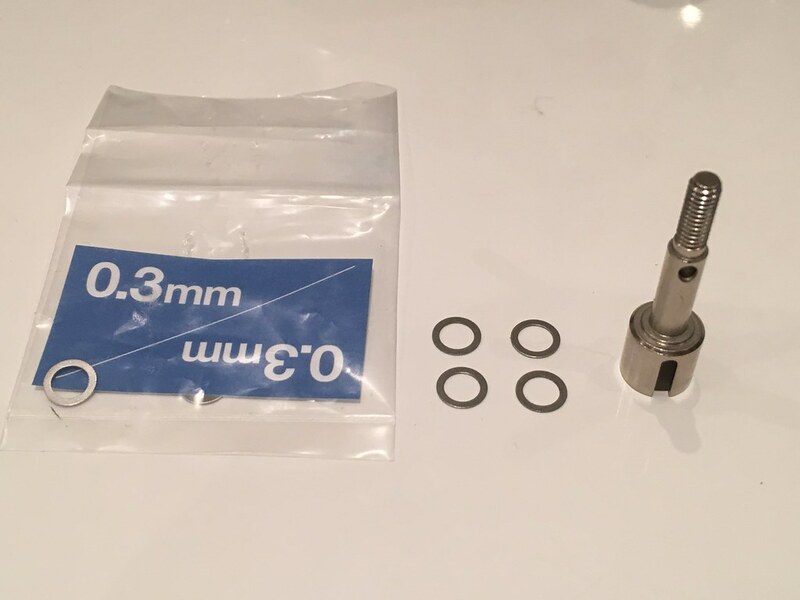 I think anything between 1mm and 1.2mm should suffice, but at 4x 0.3mm shims, there is zero play longitudinally along the axle. 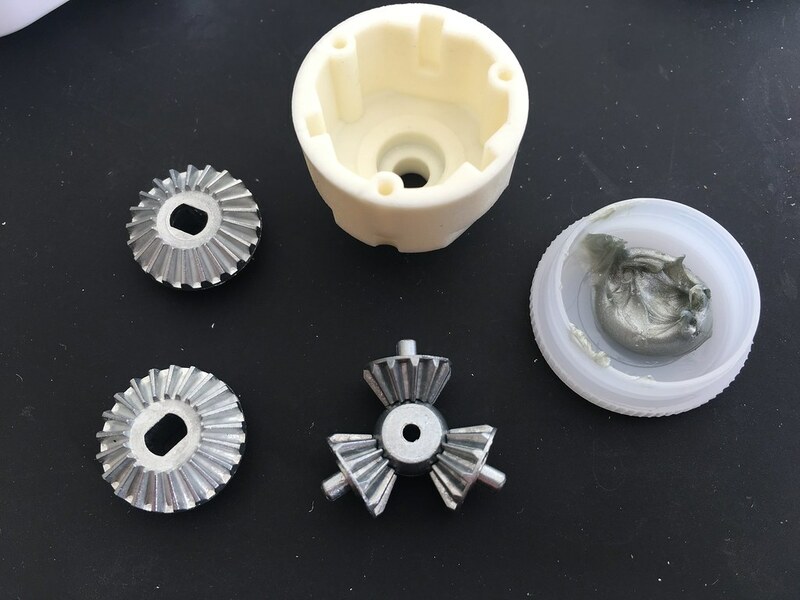 I was also bit worried about shims up against the bearings, however I have seen this method used on other applications to remove play in a differential assembly. Would be interesting to get some opinions on this from the TC member however. 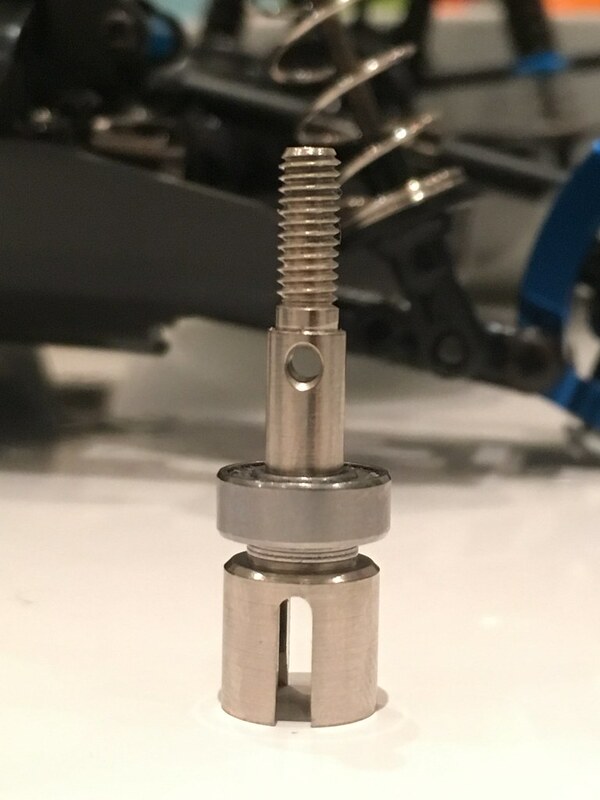 Interestingly, on my other TT02-B MS build, using the alloy Yeah Racing front knuckles and c hubs, there is zero play, so the axle seems to be captured much tighter by the machined aluminium. Vajra body arrived from Tamico. This is the ‘meh’ option, but might work well . This was a nightmare to score and fold with the scalpel. I was swearing blue murder. I had thought I was actually quite good at cutting these shells, but alas, no. It came out rough and random. Then I began to wonder if perhaps the Vajra lexan was somehow tougher than normal lexan. This theory was looking good until I realised that the very end of my scalpel was flat - I must have chipped the last 0.05mm of it off somehow...! The lesson: always, and I mean always, check beforehand that you have a super sharp knife for the score and fold technique when cutting lexan bodies..! You are correct, the Vajra body is thicker, mine was also a pig to cut and is probably what blunted your knife!! I dig the Monsterisation nice choice with the MS spec. I wouldn't call that a "meh" option at all. A very nice looking body choice! Agreed with TurnipJF - especially with a spectacular paint scheme! I do see what you mean, though, given that the body was already used for a truggy. As truggies go, though, I think an aggressive truck-style body works best, which is certainly what the Vajra shell is. 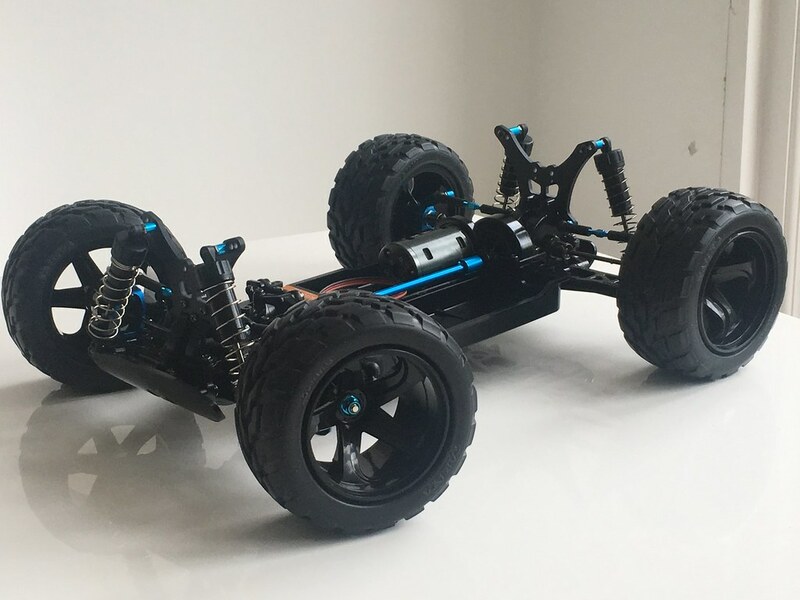 It is also good to hear the chassis setup is quite solid. Next steps tomorrow are to sort out the body mounts and the height and ‘stance’ of the shell. I don’t want this to turn into a ‘cheap’ Vajra, but it’s looking quite interesting with the test fits so far. Also will hope to spray it up tomorrow, which is therefore time for the dreaded ‘choose a colour scheme’ - I have a real problem with that...! Will need to get some stickers but again I don’t want to get Vajra or Levant stickers, as it’s neither of those cars. Not wanting to turn this into a Vajra, but it would be interesting to know what the shock lengths and arm lengths are on that car. I will need to mount some side skirts off the side of the TT02B chassis to cover the gap between the plane of the chassis and the bottom edge of the bodyshell.